The Toyota Prius gets some of the best gas mileage on the market, and it’s always great to reset your meter and learn you got 50-58 mpg. If you’re striving for perfection, you need a good set of tires to achieve optimum results. These are some of the best tires for you to get for your fuel-efficient vehicle. 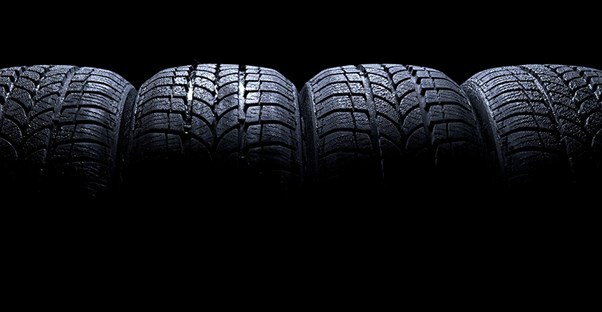 Assurance ComforTread Touring is an all-season tire that provides a smooth ride with refined handling. According to Goodyear, these tires have 20% more cushion and outperforms the leading competitor in ride comfort. Customers are happy with these tires and give the Assurance ComforTread Touring a 4.6 out of 5. This tire has a Goodyear limited warranty of 70,000-80,000 miles depending on the speed rated sizes and cost $106 per tire. The Continental ProContact EcoPlus is another all-season tire that is designed to provide performance no matter the weather while improving fuel economy due to the low-rolling resistance and lighter weight. Like any all-season tire, the ProContact EcoPlus doesn’t outperform winter tires during snow and ice seasons, but they do well during wet and dry conditions. These tires are available at Walmart for $106.26. Bridgestone is one of the top tire manufacturers, and the Ecopia is designed for the Prius. In fact, it’s the original equipment for your vehicle, and it’s one of the best. It has ultra-low rolling resistance to provide the best gas mileage possible by any tire on the market. While this tire doesn’t do well in wintery weather, it decreases noise in the cabin and has excellent ride quality while on dry or wet roads. This tire can be purchased for $107.99. “Energy Saver” is a great name for anyone looking for a tire that can help you get the most fuel-efficient car on the market. This tire is in the all-season category and Michelin claims it can help you save up to $400 over the life of your tires—which is around 16,000 miles longer than the leading competitor. The Energy Saver Construction combined with the use of a special type of tread rubber keeps the tire running cooler, increasing fuel efficiency & reducing CO2 emissions, according to Michelin. The Energy Saver A/S tire starts at $135 per tire. Most of these tires are all-season, but we have winter weather covered, as well. Living in snowy areas aren’t a problem if you put the General Altimax Arctic on your Prius. This tire has an integrated multi-angle 3D sipe system to maximize traction to accompany the directional tread pattern with a center rib for stability. It also has Advanced Reactive Contour Technology to respond to different road conditions and maintain contact with the surface of the road throughout the entire life of the tire. One of the best features of this tire is that if you don’t like your tires within 45 days of purchase, you may exchange all or any one tire for a corresponding number of the same tires. Electric Cars vs. Hybrid Cars: Which is Better?